This beautiful short video of Cartier Jeweler’s new ad brought back many memories for me. As Cartier’s Leopard tore majestically through the snow of St. Petersburg followed by horses pulling a troika I remembered the 40 miles in deep snow driving from St. Petersburg to the Winter Palace and the incredible world of the past we found there. And I remembered a rug for the floor in a pawn shop in Shanghai, China in February 1975. It was a large rug, possibly 15 feet by 15 feet, made entirely of magnificent Snow Leopard pelts. I was both sickened at the thought of those beautiful animals being slain only to be walked on and awed by the beauty of the rug. 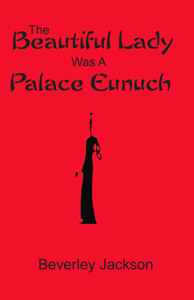 It was lined in deep red velvet and surrounded by a thick border of the same. The man running the government pawn shop was anxious to get rid of it but there was no way I could have lived with it even if I could have brought it home on the plane and gotten it through U.S. customs. There were amazing items for sale in the pawn shop. Many left by fleeing Europeans in 1949 with the takeover by the Communist government. 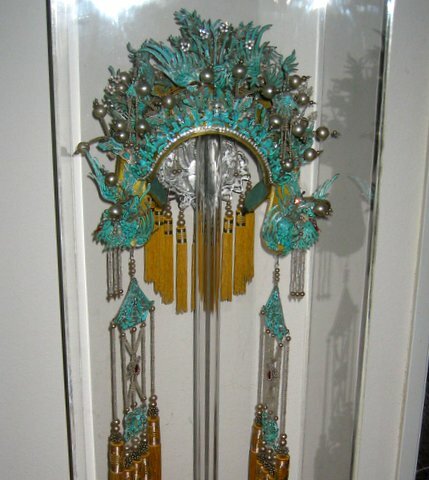 One thing I did buy was a beautiful Chinese opera headdress made of blue kingfisher feathers. Not knowing anything about my purchase, I sent a photo and query to Arts of Asia magazine and they answered in a future edition with the photo and comment “Mrs. Jackson was very fortunate to get into the pawn shop. A few short months after her visit a law was passed that no westerners could ever purchase from Chinese pawn shops again.” And they still can’t. This is good however since poor peasants will pawn everything they own to buy seeds to plant in spring, even their winter clothes and blankets, and hope that crops will be good and they will be able to get things back again. Well the magnificent Leopard in the video has so far taken me back to St. Petersburg and old China and he has taken me to Paris as well. Now to present day Leopard business. Leopard prints once again were shown in so many of the Paris collections last week. Will designers never tire of the design? About five years ago I weakened for a Snow Leopard (fake) purse in the window of a famous French designer’s boutique in the lobby of the Bellagio Hotel in Las Vegas. I was ashamed of spending so much on a purse. But considering I’ve carried it for almost five years and it’s still in style I guess I should give up the guilt! Fortunately today all these items are made of silk and cotton prints or printed calf skin. In the 1960’s when Leopard coats were all the rage after Jackie Kennedy was photographed wearing one the animals were being slaughtered at a tremendous rate. One furrier admitted in 1967 that as many as eight pelts were needed to make a coat. Fortunately in 1970 U.S. state laws began being passed banning the sale of fur from Leopard, Cheetah, Snow Leopard, Tiger, Jaguar and two small spotted cats (Margay and Ocelot). The U.S. Endangered Species Act of 1973 finally cut off imports by adding the full species of most large and many small spotted cats. And many countries in Europe and elsewhere enacted domestic legislation to cut off the trade it items made of the cat furs. Sadly though illegal killing and trade goes on today in some countries. The use of various parts of the cats for medicinal products is one reason. I had the horrible experience of seeing a blanket spread on the ground in a parking lot where Asian tourists swarmed in late 1970’s in China selling items from endangered species still bleeding — bears paws etc. This prompted me to get involved with World Wildlife and other organizations. But if the demand and money are there the killing will continue. In our grandchildren’s world I am afraid all that will be left of these magnificent Leopards and other great cats will be videos like shown above or animals in cages in a zoo. Rennie, I told you we weren’t going to show that! Why did you drag it out here? I watched the video at the top(fabulous)+ I too would have bought the purse. xxpeggybraswelldesign. Glad you liked video and purse Peggy. Me too! Most of emails I’ve received about this blog have been about Rennie stealing my leopard print bra! !